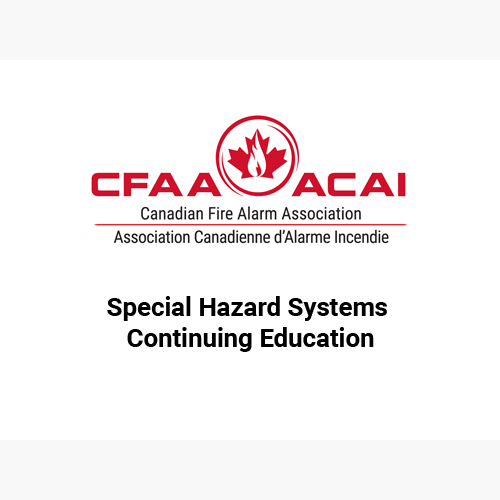 CFAA is pleased to announce the release of the new Special Hazard Systems continuing education online seminar! Following the online seminar there is a short quiz to test comprehension of the material in the seminar. 2. Online Continuing Education Category 1 credits. Launched by Health and Safety Management College. https://hsmcollege.ca/cfaa-continuing-education/ At a time that’s convenient for you, watch a one-hour and then pass a test for each Category One credit. If you pass you will receive your certificate right away by email. Eight topics are now available featuring instructor Rick Murray. Cost $25 per unit. Technicians - Get your required Category 1 CEC on your own schedule and at your own pace! Sign up for one course at a time and take as few or as many as you need.